After we talk about Beach House With the Main Material of Wood Ornament . 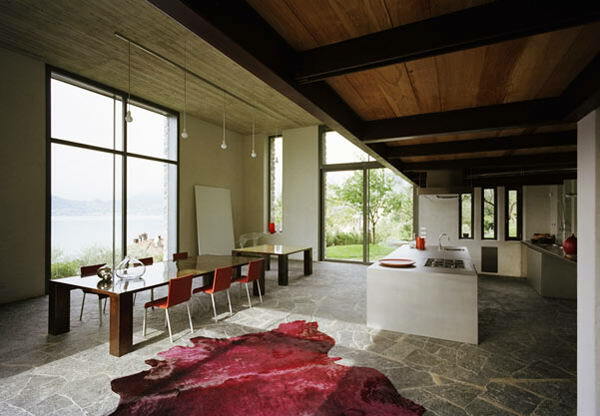 This stone house design in plateau may look cool, but it has interiors and designs of very warm quality. 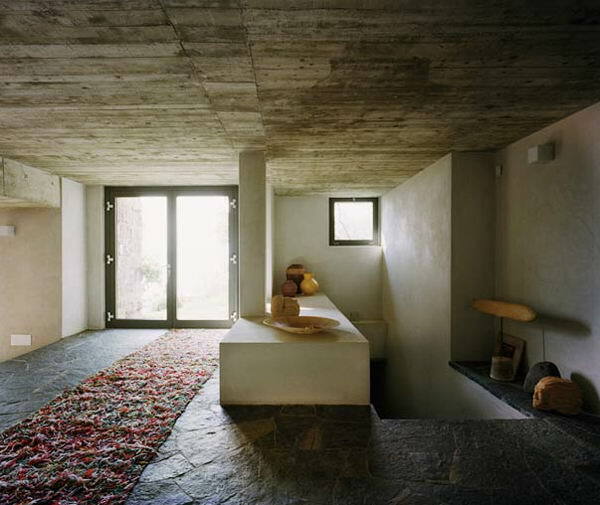 The interiors are mostly made up of exposed concrete and limestone with natural wood beams and it has open ceiling to see the countryside. It has natural lighting and ventilation. 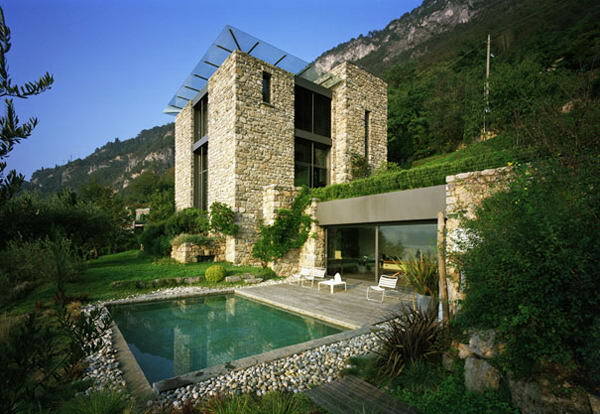 In this design it feels like the architecture of the building meets nature in this stunning Italian countryside house by architect Arturo Montanelli. This house has a strong sense of authentic yet modern stone house. The main floor is bright and airy, with double height living room and huge floor to ceiling windows overlooking the garden outside.